Patients on warfarin need to get their INR levels measured regularly. This often involves visiting a local anticoagulation clinic or healthcare provider. However, in-home testing, also known as self-testing and point-of-care testing, is a great option that many patients are not aware of. “I think a lot of patients don’t think of it as an option because they don’t really know about it,” explained Dr. Peter Collins, an advanced clinical practice pharmacist at Brigham and Women’s Hospital. Dr. Collins works at Brigham and Women’s anticoagulation clinic, where he helps patients on warfarin get set up with in-home INR testing. 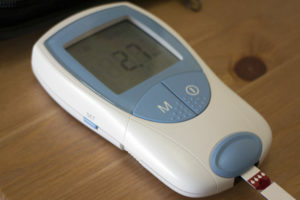 How does INR in-home testing work? First, patients interested in in-home testing must speak to the doctor who prescribes their warfarin and manages their anticoagulation. The doctor will help them decide if they are a good fit for in-home testing. 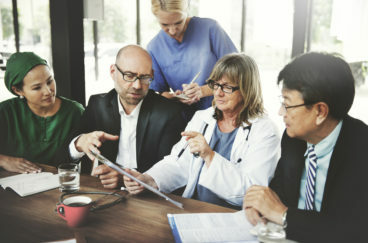 If so, the doctor submits a form to a medical service company with the patient’s information.There are a variety of companies that provide these machines. According to Dr. Collins, Brigham and Women’s Hospital works primarily with Alere to provide their patients with in-home testing services. Once patients are set up with their device and properly trained in taking and reporting their INR levels, they are ready to take over their own INR testing. When patients report their INR results, the anticoagulation clinics make their dosage adjustments and reports them to the patients in the comfort of their own home. Who is a good candidate for in-home testing? INR in-home testing is a great resource that is beneficial for many patients. Dr. Collins estimates that 15 to 20 percent of his patients at Brigham and Women’s Hospital self-test. In-home testing is a great option for patients who can’t make it to the lab frequently, who travel often, or who want to be self-sufficient. It’s also good for patients who have difficulty leaving their homes. Patients must be on warfarin for 3 months before in-home testing can be approved by insurance. By doing this, patients will likely already have an established, stable warfarin dose that works for them. “Most patients think of this as a no brainer. It’s something that is more convenient. You don’t have to give a full blood sample (just a finger stick). It’s much less invasive,” said Dr. Collins. However, he noted that in-home testing is not for everyone. 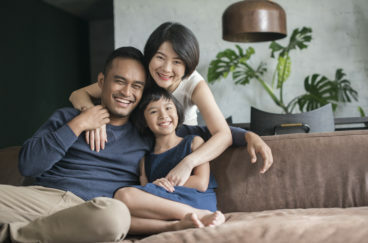 What benefits come with in-home testing? It allows patients to test their INR levels without the need for frequent visits to a lab. In-home testing only requires a finger stick, instead of a full blood sample. Studies show that patients who self-test have a higher rate of being in the correct INR range. 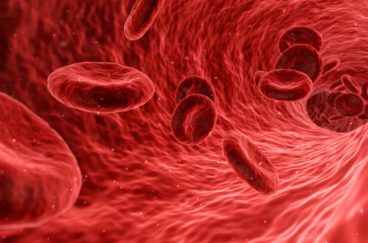 They spend closer to 71 percent of their time in range, compared to patients who visit anticoagulation clinics and spend 60-65 percent of their time in range. Part of this could be related to how often these patients have their INR levels tested. Insurance mandates that they are tested at least twice a month. This leads them to receiving more frequent dosage adjustments to balance their INR levels. Dr. Collins also noted that this difference in INR range may stem from the types of patients who seek out in-home testing and shepherd it through the approval process. These patients are often highly motivated and invested in their healthcare. They take their treatments seriously, strictly adhering to their treatment plans. Are there any challenges to in-home testing? In-home testing is not for everyone, and it does come with challenges. One major issue is that the in-home testing machines can be less accurate than testing at a clinic. Although self-testing machines are approved by the FDA, Brigham and Women’s Hospital tests the accuracy of the machines themselves. Dr. Collins has found that some of his patients’ machines can be up to 20-30 percent off in measuring INR levels. To counteract this, Brigham and Women’s Hospital compares the results of the patients’ first few in-home tests with tests taken at the clinic. Patients who self-test must also understand that they may have to return to the clinic for testing, if their INR levels are found to be high. As with all forms of treatment and testing, INR in-home testing has its challenges and benefits. It’s not the appropriate testing method for every patient. If you are interested in pursuing in-home testing, talk to your doctor to learn about what options are best for you.